The Blurb: "It was the old man… with the long cloak and the fiendish grin!" The most successful of all the collaborations of director Tod Browning and legendary Lon Chaney, ~ "The Man of a Thousand Faces" ~ was London After Midnight, their long-lost silent "Mystery-Thriller." But now the novelization based on Browning's original screenplay is back for the first time since its original publication, in its entirety! Once more mystery haunts the old Balfour House …and Lon Chaney’s gonna get you if you don’t watch out! Complete with the original photo-illustrations plus additional features exclusive to this edition, including "Transylvania to Prague via London ~ After Midnight" and introduced by your Thriller Theatre host Margali Morwentari. 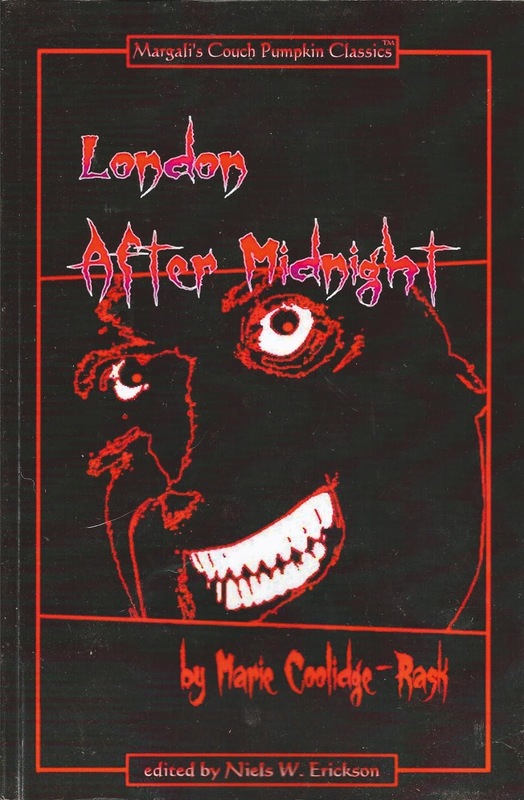 The review: London after Midnight is for many (including me) one of the most lamented of the lost films, probably more so because we have the remake, Mark of the Vampire, and the bravely constituted reconstruction to hint at what we are missing. That hint is greater still with the re-release of the original novelisation. The story is based on an early draft of Browning’s script and so contains aspects not in the final film, primarily heroine Lucy’s brother Harry Balfour – murdered early on and actually filmed by Browning but cut out of the final edit that made Lucy an only child. I assume, as you read this, that you are aware of the storyline of London After Midnight (or have seen the reconstruction). At the very least I assume that you have seen Mark of the Vampire and thus it is not a spoiler too far to tell you that the vampires in this story are not actually real. Indeed the logic of having them there at all, whilst wonderful for the atmosphere of the film, demanded a twisted logic that was quite torturous. But, you know what, it doesn’t matter. The vampires are connected with bats and can turn into mist. 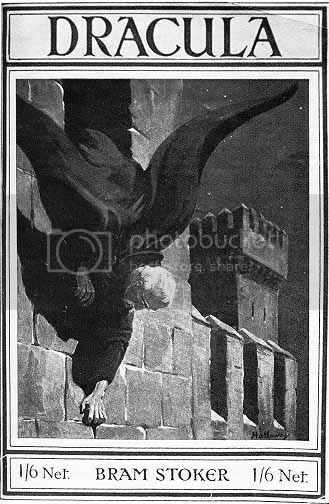 As well as being cited as vampires, they are referred to in text by the genus names Vukodlak and Murony (according to Bane’s Encyclopedia of Vampire Mythology a Murony is both a variation of the Romanian Muroni and is a vampiric spirit or a Walachian/Moldavian variant of living vampire). The writing is very melodramatic and certainly of an age – you couldn’t mistake this for a more modern written volume. 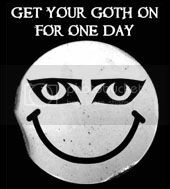 But hey, you know what… it’s London After Midnight and that should be all the encouragement you need. 8 out of 10 for its historical value in the genre. The re-release of this volume was notified to me by a blog reader, Fenris, and so my thanks for the heads up.